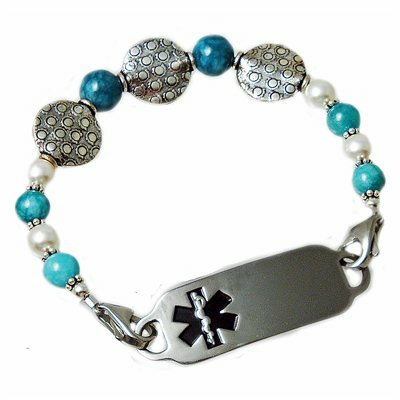 Chelsea features 6 and 8mm variant colors of Blue-Green Jade intermingled with Swarovski Crystal White Faux Pearls, silver plated coin beads and bali sterling silver daisy spacers. A great style for work or play! Each bracelet is uniquely yours. Custom sizing from 6.5 inches to 9 inches. Design copyright 9.6.2015.